Krasenkow, Marin and others comment on the best games. NEW: Interactive training lectures with video feedback to your ideas: Daniel King „Move by Move“, Oliver Reeh “Tactics" and Karsten Müller „Endgames“ - get on a move! 12 new opening articles with lots of new ideas for your repertoire: Mihail Marin offers deep insights into a classical line in the French Deefence C16: 1.e4 e6 2.d4 d5 3.Nc3 Bb4 4.e5 b6, Michael Krasenkow presents one of his special lines against the Benoni (7.Bd3 Bg7 8.h3 ... 9...b5 10.Nxb5), Evgeny Postny checks the Caro-Kann Advance Variation with the immediate 3...c5 etc. etc. 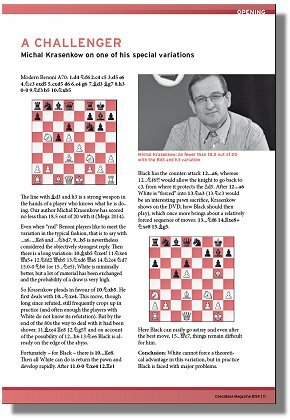 "The latest issue of ChessBase Magazine offers the usual blend of top tournament coverage, instructional material and opening surveys. Danny King presents excellent video coverage from Zurich and Wijk aan Zee, and his analysis of the key games is typically insightful." Download an Opening Survey for free! Michal Krasenkow has an excellent performance with the line that he presents in his article: With the line 1.d4 Nf6 2.c4 c5 3.d5 e6 4.Nc3 exd5 5.cxd5 d6 6.e4 g6 7.Bd3 Bg7 8.h3 he scored no fewer selbst einen exzellenten Score vorweisen: 18,5 out of 20! 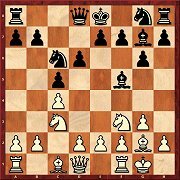 After the usual moves 8...0-0 9.Sf3 b5 the Polish GM recommends to take on b5 not with the bishop but with the knight: 10.Nxb5. 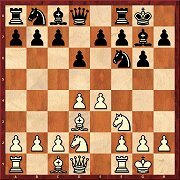 Here Black must choose between two replies, he plays either 10...Nxe4 or 10...Re8 - both moves were played about 200 times (Mega 2014). But the first reply looses on the spot! White answers 10...Nxe4 with 11.Bxe4 Re8 12.Ng5!! and due to the threat 12...h6 13.Ne6 black is already on the edge of the abyss. 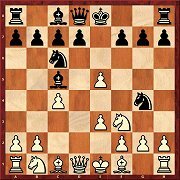 The setup suggested by Lars Schandorff with 6...Bf5 has seldom been seen in practice so far. The intention is ...Dd7 followed up by ...Bh3. The plan is extremely simple, but generally achieves its aim – equality – quite safely. Richard Rapport’s spectacular win with Black over Boris Gelfand caused Viktor Moskalenko to put these variations under the microscope. Surprisingly, it is hard to demonstrate an opening advantage for White and in practice Black scores well. The setup with Bd3 and h3 is extremely dangerous for Black. Michal Krasenkow can, e.g., point to his score of 18.5 out of 20. 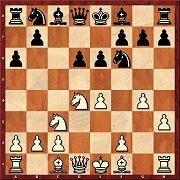 Theoretically 9...b5 is the correct move, but our Polish author shows that the practical problems after 10.Nxb5 are all Black’s. 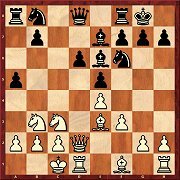 Actually with this move order White does not so much want to play the Pirc as simply to avoid the Grünfeld Defence and the King’s Indian. Objectively speaking, Black can equalise, but as Kuzmin shows, in most lines White has a very comfortable game. In this variation White absolutely wants to hang on to the c5-pawn, but in return Black may get the e5-one. But White then often gets the bishop pair and a lead in development. 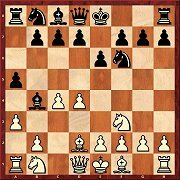 According to Evgeny Postny the best way to start is with 7.Be3. Compared to the Keres Attack, White often loses a tempo here. This makes it easier for Black to equalise, but the positions are very sharp. 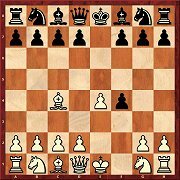 Krisztian Szabo demonstrates in his article that Black can count on equality both with 7...d5 and with 7...Be7. In this variation of the English Attack, 10...a5 is not the main move (that is 10...Nbd7), but Gergö Havasi has had good practical experience with the move of the rook’s pawn. In his article the young Hungarian explains ideas, motifs and typical patterns. Instead of knowledge of variations, what one needs to have in this very strategic system is an understanding of the plans for both players. Mihail Marin shows you how things are. There are 22 annotated games, many of which have extensive comments. 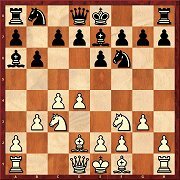 In the second part of his repertoire for Black against the King’s Gambit Martin Breutigam deals above all with 3.Bc4. His recommendation is 3...Nf6. 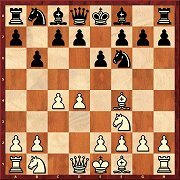 He also examines the weaker alternatives on move 3.
Who is actually favoured by the insertion of the moves 4...a5 5.a3? In any case Black should reply 5...Bxd2+ and a comparison with the 4...Bxd2+ variation comes to mind. Dejan Antic has a few interesting ideas. No other top player make have included the Miles Variation 4.Bf4 in his repertoire, but Spyridon Skembris, who has played the variation with both colours, is nevertheless surprised that there is no simple route to equality for Black. The Queen’s Indian with 5.b3 is the main variation is this opening. The subsequent sequence of moves has crystallised out as the best in several games between Aronian and Karjakin. Igor Stohl brings you right up to date. 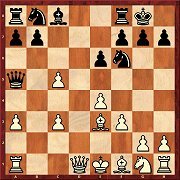 Carlsen may have preferred 7...exd5 in his WCh match, but the alternative 7...Nxd5 is considered to be the main continuation. Lev Gutman has investigated the important variation with 9...Nf6 and can see a slight advantage for White. Top tournaments: World Championship in Chennai, European Team Ch in Warsaw, World Team Ch. in Antalya. Adams, Andreikin and Radjabov and others comment on their best games. Interactive training with Daniel King and Karsten Müller. 12 opening articles. Top tournaments: Norway Chess, Capablanca Memorial, and Poikovsky. Analyses by Karjakin, Jakovenko, Bologan and many more. Interactive training with Oliver Reeh and Karsten Müller. 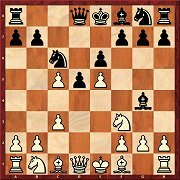 13 new opening articles – from Alekhine Defence to the Winawer Variation. Top tournaments: FIDE Grand-Prix Paris, Sinquefield-Cup, King’s Tournament Bucharest, and European Club Cup. Caruana, Gelfand, Wang Hao and others comment on their best games. Interactive training with Daniel King and Karsten Müller. 12 opening articles. Top tournaments: FIDE Candidates, Gashimov Memorial, and European Championship. Analyses by Anand, Caruana, Radjabov, Motylev and many more. New series "The Classic" with German federal trainer Dorian Rogozenco. 13 new opening articles. 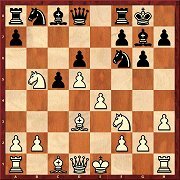 Saint Louis and Biel - classical analyses + videos by King, Vachier-Lagrave, Kasimdzhanov, Williams. 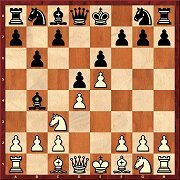 Tactics, Strategy and Endgame + 14 Opening articles with new ideas for your repertoire - look forward to a rich training programme!